200g fresh raspberries, plus extra to decorate. Combine the oats and cinnamon in an oven-proof dish. In a separate bowl mix together the almond milk, melted coconut oil and coconut nectar. Pour the liquid mix over the oats and stir well. Sprinkle over the raspberries and press into the mix. Bake for 30 minutes until the top is starting to brown and the mixture has set. Remove form the oven and allow to cool slightly before removing and cutting into 20 squares. 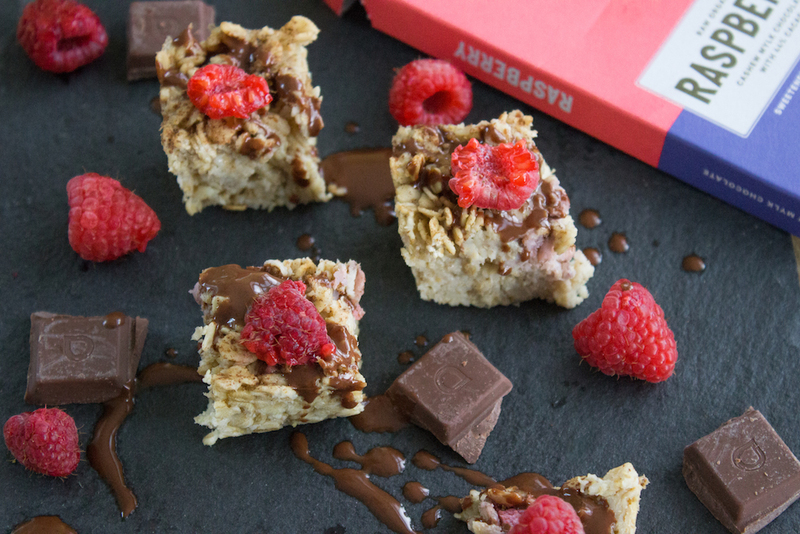 Make the drizzle by melting chocolate with the coconut oil. 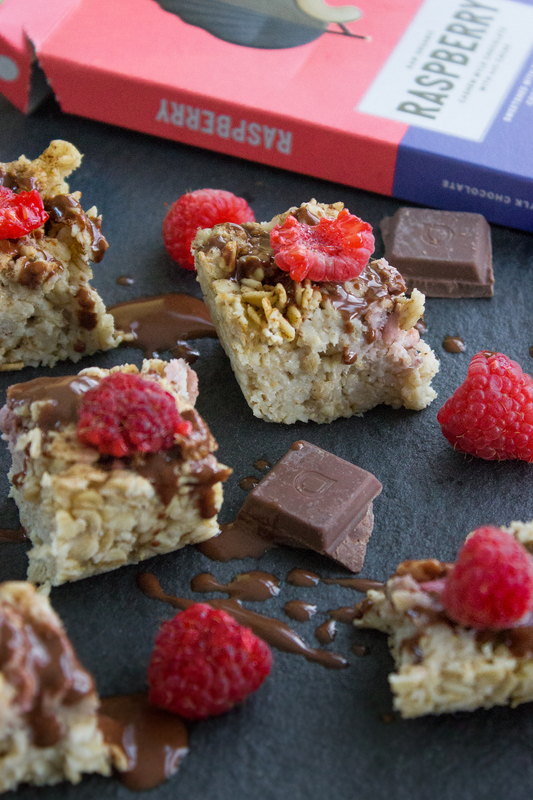 Add additional fresh raspberries to the oat squares and pour over the chocolate mix. Serve warm, or store in the fridge for up to 3 days. Hi can I swap the coconut nectar for rice malt syrup? Is there a sub for coconut nectar. I want to make this now but don’t have any! OMG! Stop – such a sucker for anything with raspberries. Looks delish! 3 days to eat 20 squares my be overkill for me. Do you think it would freeze?